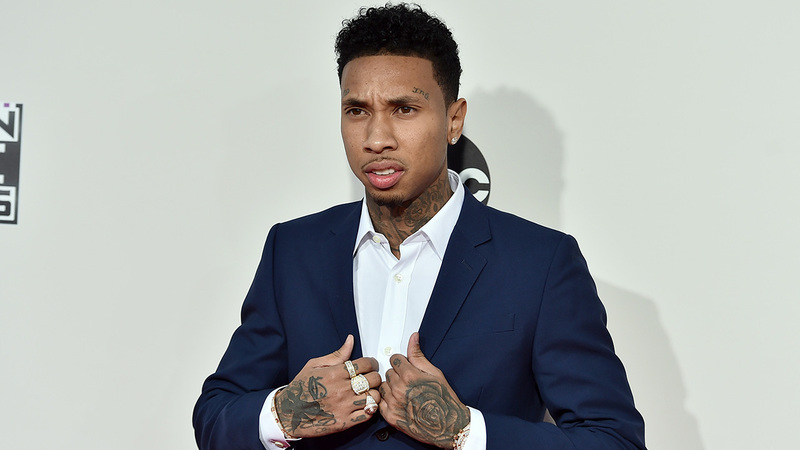 A judge has issued a $10,000 bench warrant for the arrest of rapper Tyga. The warrant comes after the 26-year old was a no-show at a Santa Monica courtroom, where he was due to appear Tuesday morning to account for his finances. Tyga failed to pay a $480,000 judgement against him for damages at a Malibu home he had rented in 2011. According to court documents, Tyga missed a $16,000 monthly payment and broke the lease. Once the owners took possession, they say they found damage and alterations to the home that had not been approved, including a dance pole in the middle of the master bedroom. Tyga, who has been linked romantically to Kylie Jenner, refused to pay, claiming poverty. In court, the plaintiff's attorney brought up the recent purchase of a $200,000 car for Jenner and want her to appear for questioning to see where that money came from.